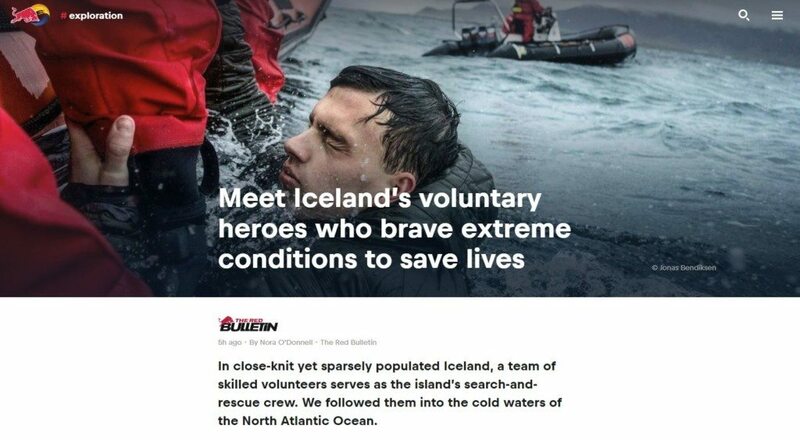 Iceland has a unique team of volunteers that make up the ICE-SAR team. The Red Bulletin covered the story earlier today in an extensive blog where the author follows a few members of the SAR team on a open-sea rescue practice. Click HERE to read the whole blog and see the breathtaking pictures from their extreme practice conditions. Norðurflug Helicopter is proud to support the ICE-SAR team. Screen shot from the Red Bulletin story. Norðurflug CEO, Birgir, while purchasing “The Rescue Man” in 2016. 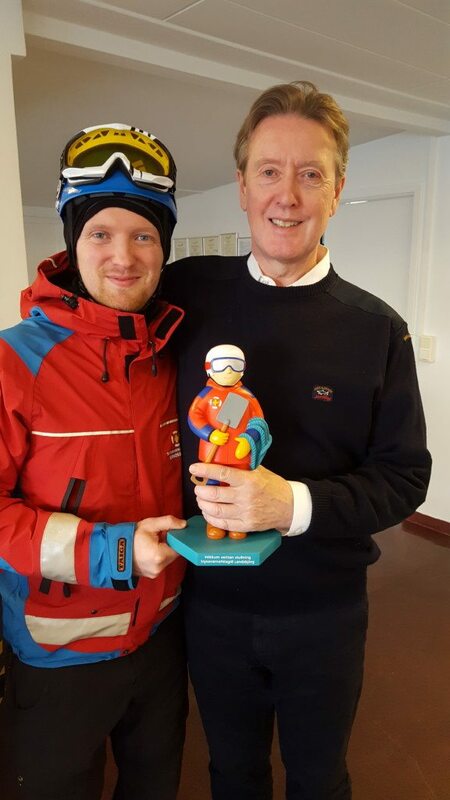 “The Rescue Man” or “Björgunarkallinn” statue is a part of an annual fund raising initiative by ICE-SAR.